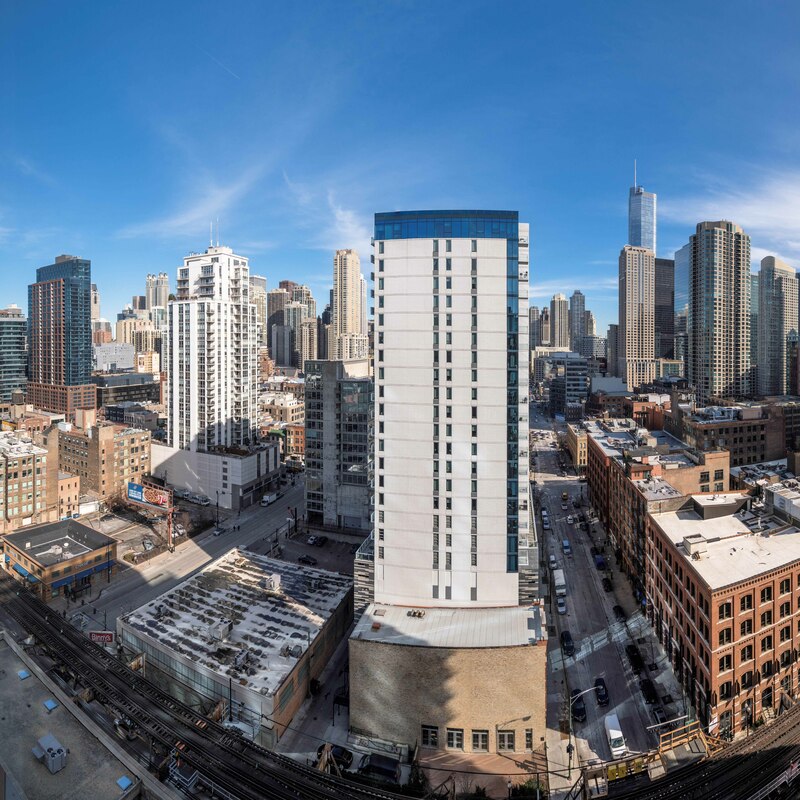 River North Park is a 24-story, 399-unit apartment tower at 320 W Illinois St in River North. The building includes ground-level retail space and a 201-car garage with a landscaped area above it bordered on three sides by townhome-style apartments. The building was completed in 1986 and was originally named Orleans Court. Irving Marken was the developer, Skidmore Owings & Merrill was the architecture firm, and W.E. O’Neil Construction was the general contractor. 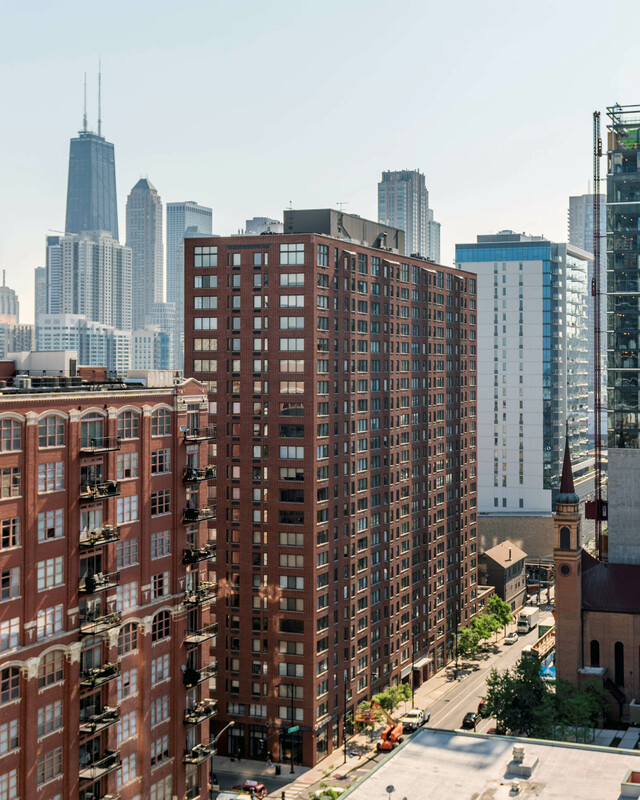 River North Park offers studio, convertible, 1- and 2-bedroom, 2-bath apartments, and 2-bedroom, bath-and-a-half townhomes. Floor plans and a near real-time availability check are available at the building’s website. 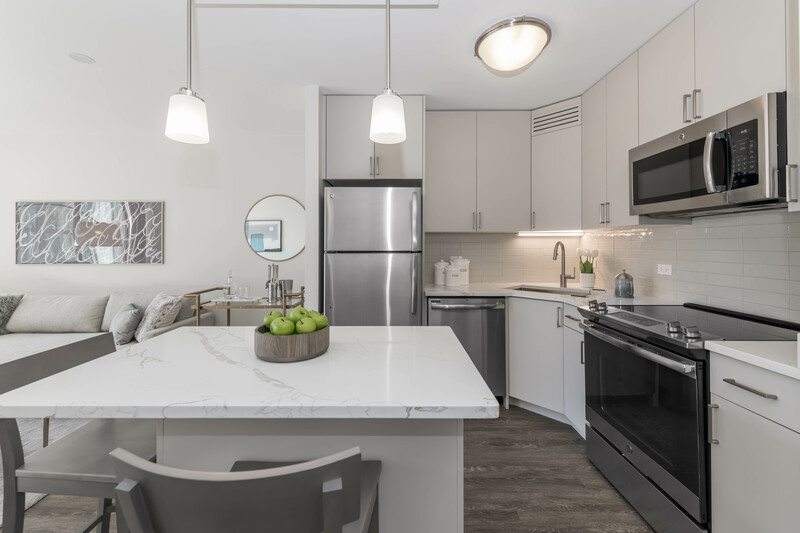 The apartments have stylish new kitchens with quartz counters, glass tile backsplashes, 42-inch upper cabinets, breakfast-bar islands, and stainless-steel appliances, including a dishwasher and built-in microwave. 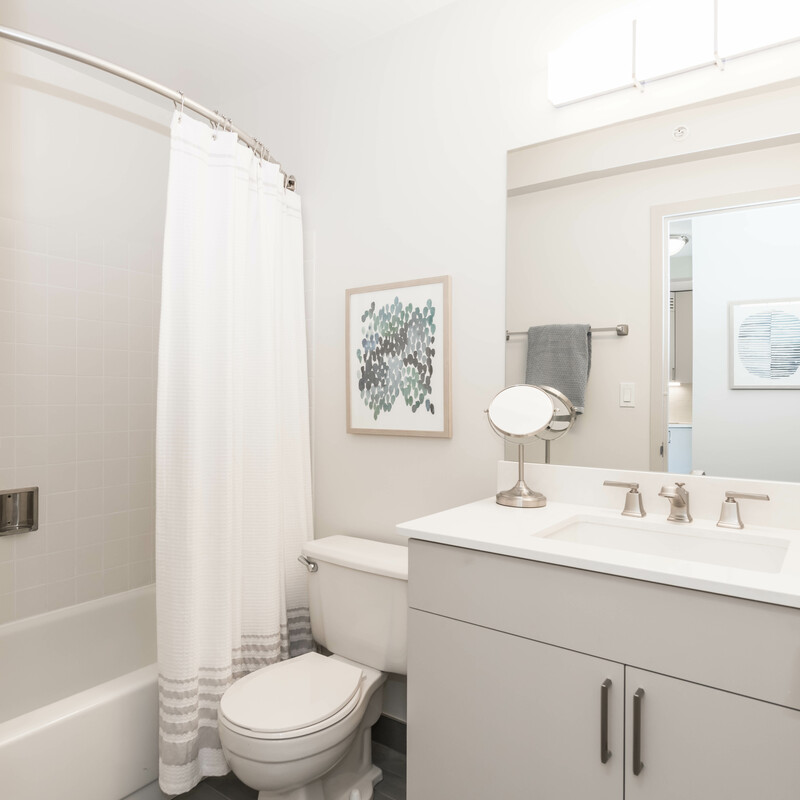 Newly-updated baths have vanity-wide mirrors, quartz countertops, and under-mount sinks. The apartments do not have balconies, although some have direct access to the landscaped courtyard. Some units have in-unit washer / dryers. Ceiling heights are typical of the era in which the property was built. Closet space is above average for River North apartments. Views. River North Park is in a largely low-rise area toward the west edge of River North. The building’s orientation along an east / west axis maximizes the views to the north and south. East-facing apartments have skyline views. 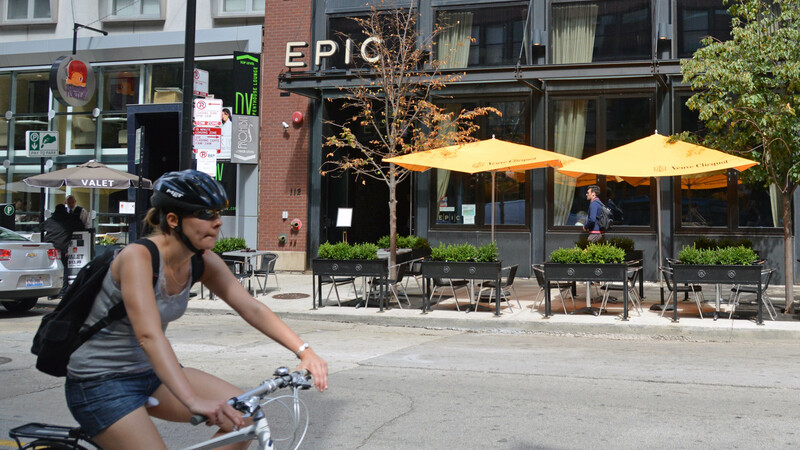 River North Park’s amenities have recently been expanded and upgraded. River North Park replaced its indoor pool with a bright, high-ceilinged, well-equipped fitness center. The spacious outdoor deck is undergoing a make-over and will feature a landscaped pool, lush landscaping, and seating and grilling areas. 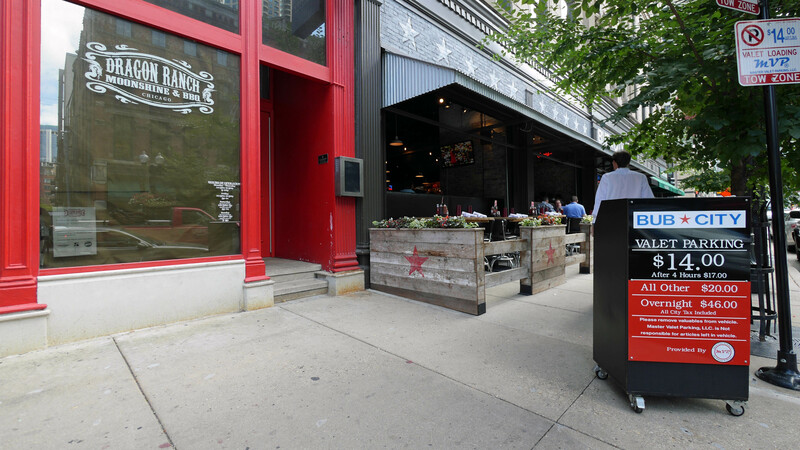 River North Park has a new resident lounge and a cyber-café with both quiet and social spaces. Parking is available in the 201-car garage. Management, maintenance and leasing staff are on-site, and the building has 24/7 door staff. River North Park is pet-friendly, subject to limits. River North Park is bordered by three busy streets carrying traffic to and from the feeder ramps for I-90/94 just north of the building. The building’s expressway access, proximity to public transportation, and walk-to-Loop location make it attractive to couples or roommates whose work takes them in different directions. Shopping. 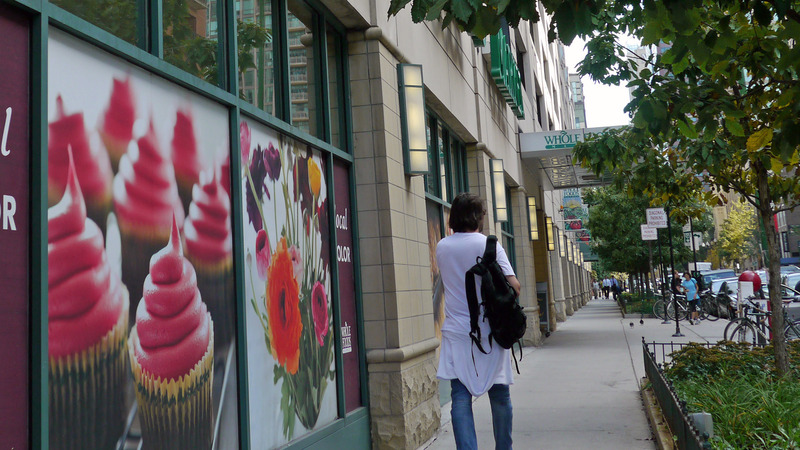 Jewel, Whole Foods, Trader Joe’s and Mariano’s have outlets within a mile of River North Park. There’s a CVS Pharmacy a short block south on Hubbard St.
There’s little retail development in the immediate area, but The Shops at North Bridge and the shops along Michigan Avenue’s Magnificent Mile are only a few minutes away and furniture showrooms are abundant near River North Park. For the work-at-home crowd, there’s an Office Depot across the street from River North Park. 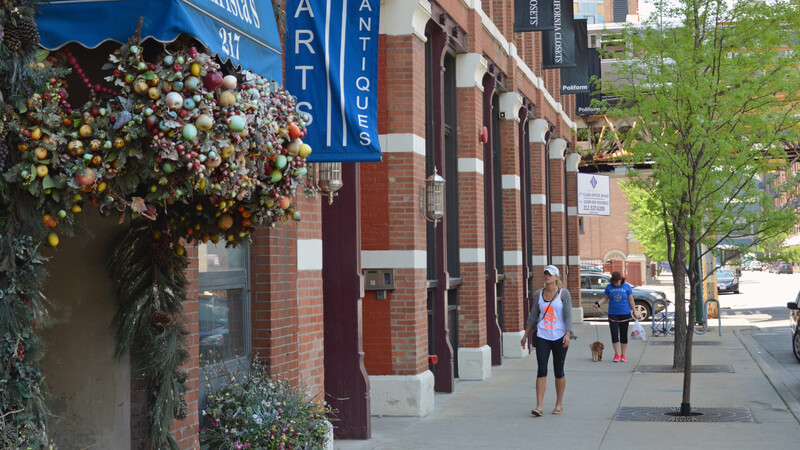 The River North Gallery District has shrunk during the economic downturn in recent years but remains a vibrant art scene. Dining, nightlife. 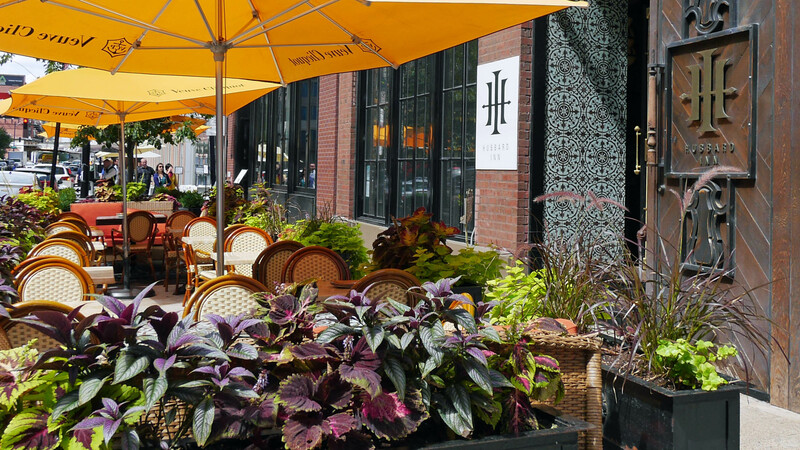 There are a multitude of dining, drinking and nightlife options within a short walk of River North Park. 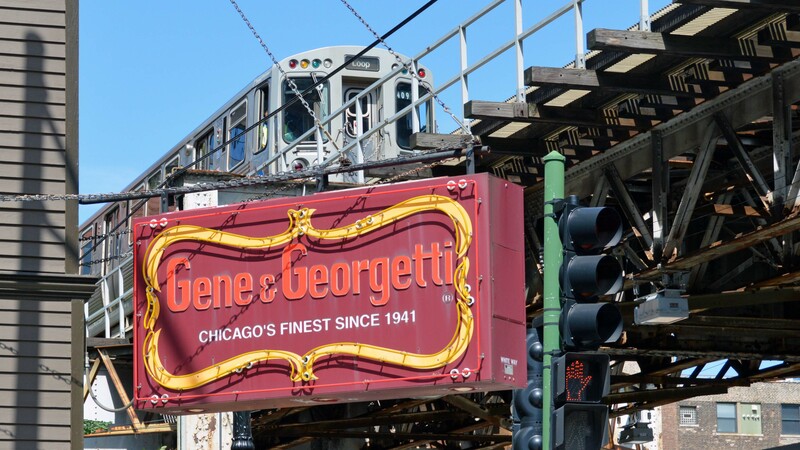 Gene & Georgetti’s, which bills itself as “Chicago’s oldest and one of its finest steakhouses” and has been known to attract celebrities, is next door to River North Park. 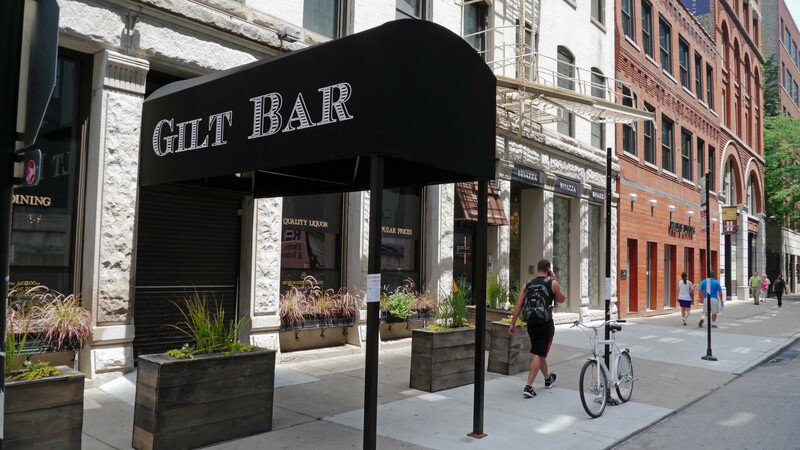 River North Park residents are more likely to frequent the popular bar and restaurant scene along Hubbard St, a block south of the building. 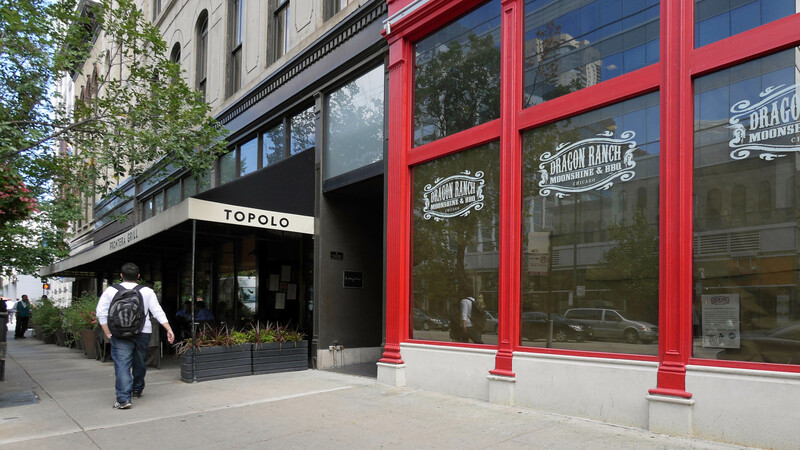 A few short blocks east, just around the corner from Hubbard, Clark St is becoming one of the densest restaurant venues in the city. Parks, recreation. River North Park lacks convenient access to public parks. There is a dog park near the property at the southwest corner of Ohio and Orleans. 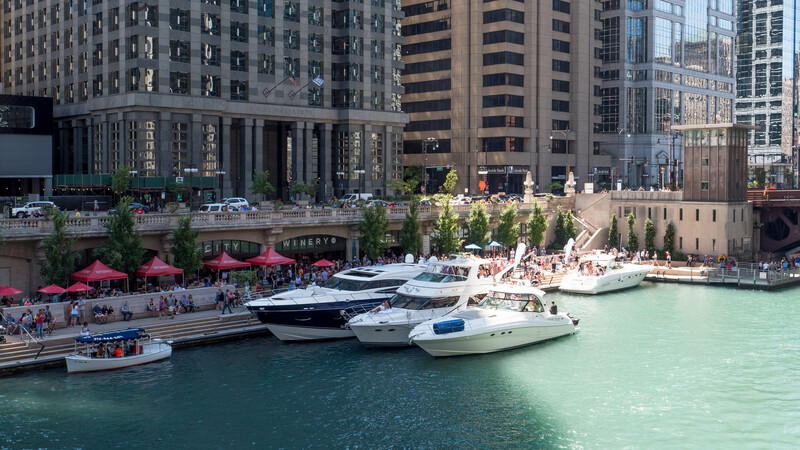 River North Park is a short walk from Chicago’s fabulous and expanding Riverwalk. Transportation. Public transportation is excellent. The CTA Brown and Purple lines stop a few blocks south at the Merchandise Mart. 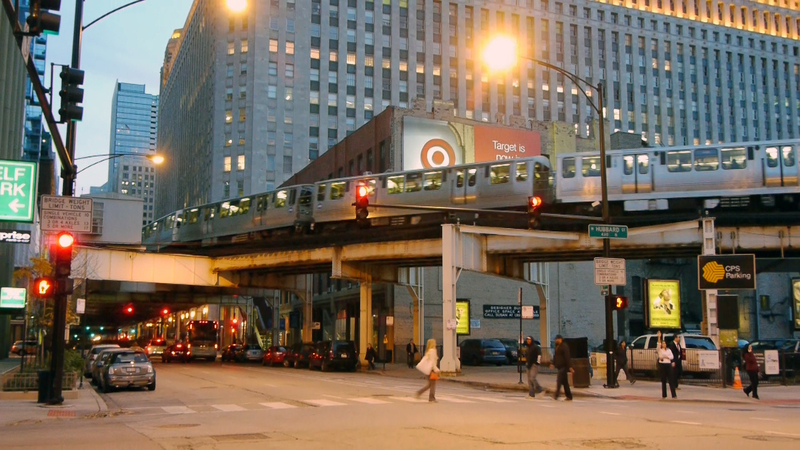 The nearest Red Line stop is a 10-minute walk east at Grand Ave. 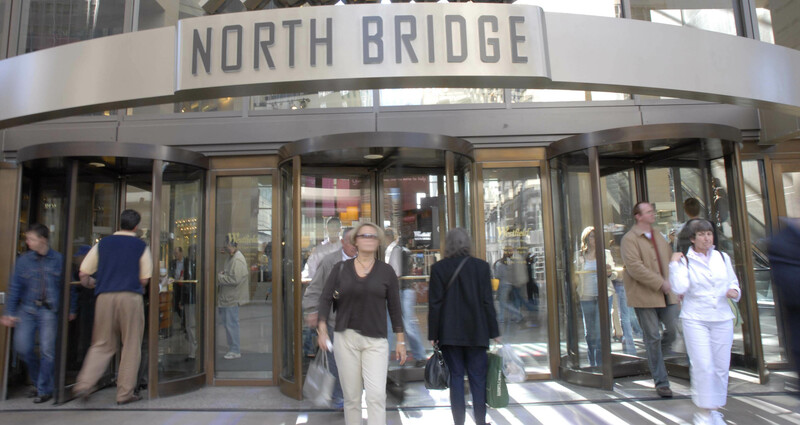 The CTA’s #65 bus route provides frequent access to Streeterville and North Michigan Ave, and busses along Wells and LaSalle connect to Loop and Near North destinations. Taxis and ride-sharing services regularly cruise the area. Zipcar locations are nearby. Access to the city’s expressway grid is excellent, via the nearby Ohio / Ontario off / on ramps to I-90/94. Note: River North Park is a YoChicago advertiser. 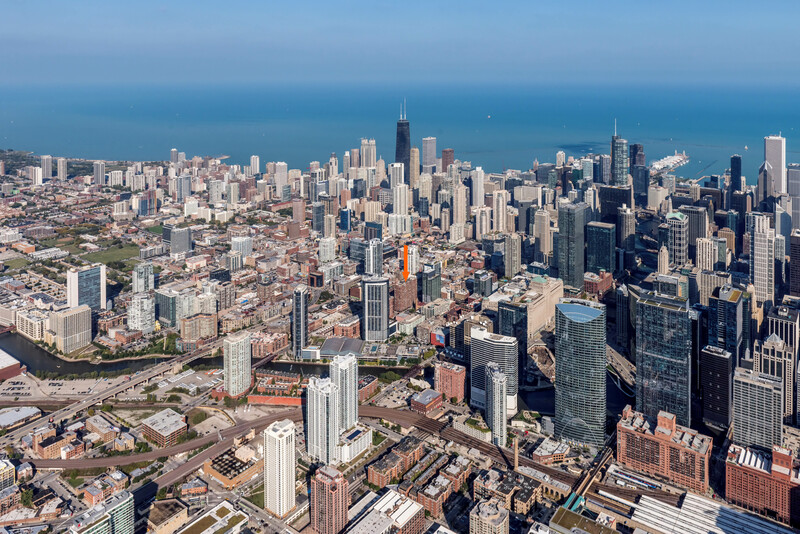 Headed for a $107 million meltdown in Bronzeville?